KeVaughn Allen drained a pair of game-sealing free throws in the final minute to the sound of the crowd chanting “MVP”. And he earned the title by carrying his team from the opening tip. 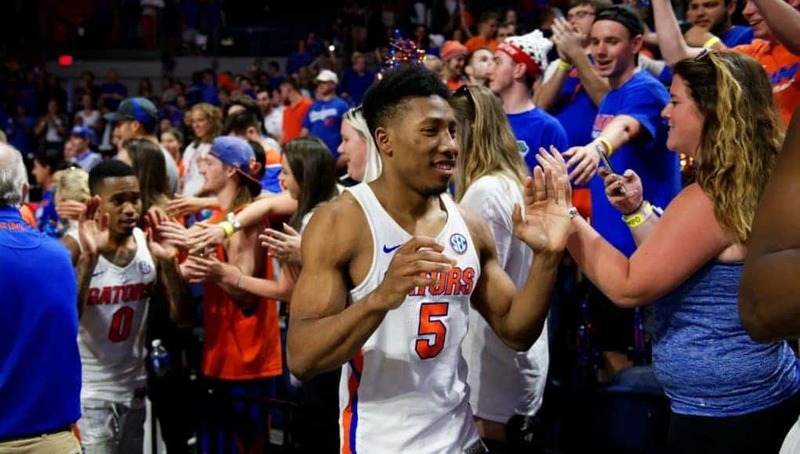 The senior reestablished himself as one of the most dangerous scoring threats in the SEC, while the freshman followed in his footsteps, giving a glimpse of just how bright the future could be. 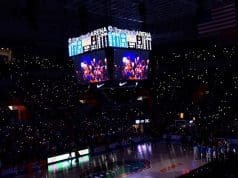 Florida came away with an 81-62 victory over Texas A&M on Tuesday, but it did not always feel like a game the Gators could handle. Both teams were hot from beyond the arc at the start, as the Gators made 5 of their first 7 and the Aggies made each of their first 3. But it was the A&M who would make the most of the sharp shooting as they went on an 11-3 run to go up 22-17 before the 12-minute mark. Less than four minutes later A&M had taken a 10-point lead, and the Gators had no answers on defense. One of the worst shooting teams in the conference was taking one of the best defenses to school. The Aggies had scored nine straight, but Allen ended it with back-to-back threes and cut the deficit to four points. That didn’t last long though as A&M continued to have its way offensively. It ended the first half just the way it began, by draining a three-pointer. The Aggies led 46-33 at the half and had scored more points in the first 20 minutes against Florida than they did the entire game before against Missouri. The Gators needed a great second half to climb out of the hole they had dug for themselves, and they knew it. Things started clicking early as Florida got a steal within the first 10 seconds after play resumed. Then, Noah Locke began his tear. In just over a minute, he drained back-to-back-to-back triples with some assistance from Keyontae Johnson and Andrew Nembhard. Just like that, the Gators cut a 13-point A&M lead to 7 points. Allen came through with a couple more three-pointers with a Kevarrius Hayes put back dunk sandwiched in between. As the Gators regained the lead for the first time since early in the opening half, Allen surpassed 20 points for the first time this season. 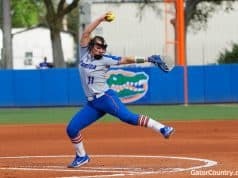 Florida had been the only team remaining in the country without a player to hit 20 points in a single game for weeks. Little did it know coming in it would have two players who would easily reach that feat on Tuesday. A&M went up one more time and tied it twice, but a three-pointer by Jalen Hudson with 8:54 remaining would give the Gators the final edge they would need to close things out. From there, Allen and Locke just had fun with it, making 6 of Florida’s last 7 shots (all of which were threes, of course). Allen even banked one in just for fun. If it wasn’t obvious it was just his night, it became clear when a rare sighting occurred—a genuine Allen smile. The Aggies did take advantage of a couple late Florida mishaps to make it interesting at 77-72 with 1:28 on the clock. Johnson came up big with a second-chance layup to go up by seven with a minute left, and Allen put the cherry on top with his free throws. 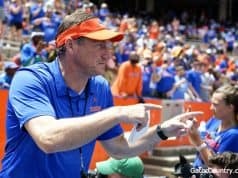 Early on, it felt like the Aggies would have the advantage from three-point land, but that is where the Gators ended up thriving. Led by the efforts of Allen and Locke, Florida made 18 threes in the game, including 11-of-15 in the second half. Allen led Florida with 31 points as he made 10 of his 16 shots and was a stellar 8-for-10 from long range. Locke finished close behind as he put up 27, with 20 of those coming in the second half. He was 9-for-18 from the field and 7-for-13 from three. No one even came close to matching those two performances, but other guys did their part. Johnson led the team with 9 rebounds (5 were offensive), Nembhard dished 11 assists to go with 6 rebounds and Hayes had 8 points and 6 boards. Florida has had some trouble finishing lately, but it certainly finished this one on the right note. The win helped the Gators get back to .500 in conference play at 3-3. This should boost the confidence of the team heading into the SEC/Big 12 Challenge and the final stretch of the regular season.